Proudly serving Houston, Katy, Spring, and The Woodlands. My Sprinkler Spot’s team has over 25 years of experience in everything from Backflow Repair or replacement to finding your grass covered valves. Our team of experts will address your issues, discuss your options and even explain how or why it needed repair or replacement; and advise if there’s anything you can do to prolong the life going forward. 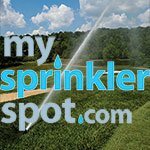 My Sprinkler Spot came to be from what I felt was a need for good old fashion values. A good service at a good price. So that’s what we promise on every visit, Expert repairs at an affordable price. I’m confident if you give us the chance to earn your business, you will join our family of completely satisfied customers.